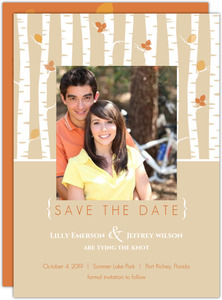 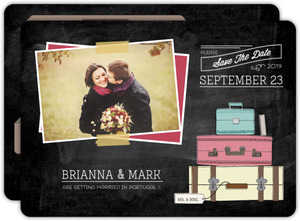 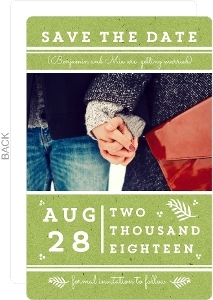 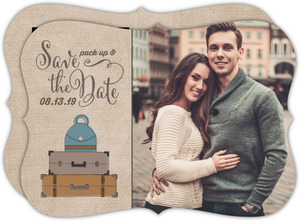 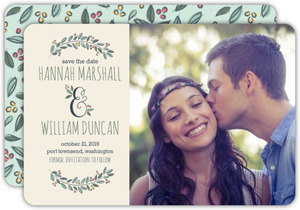 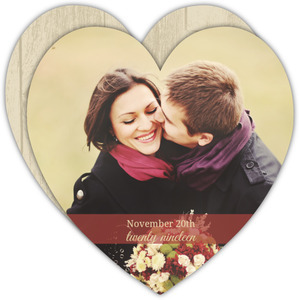 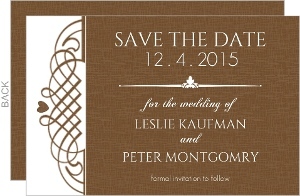 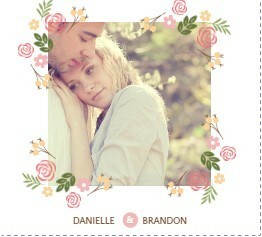 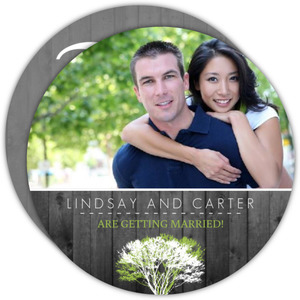 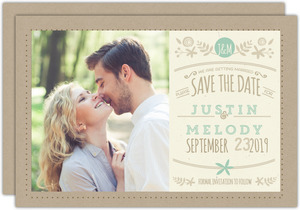 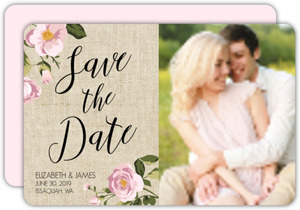 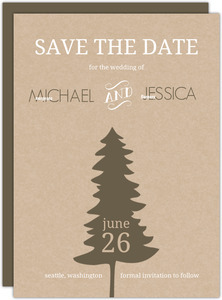 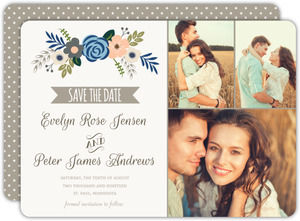 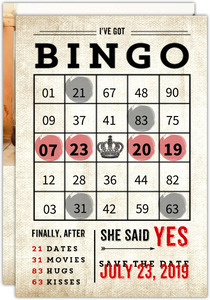 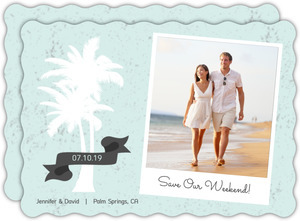 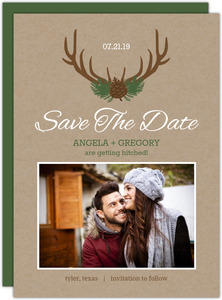 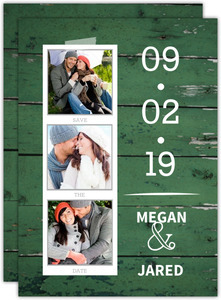 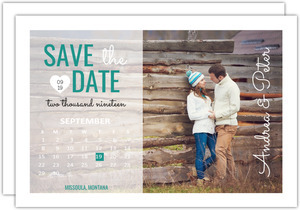 Find charming rustic save the date cards at Wedding Paperie. 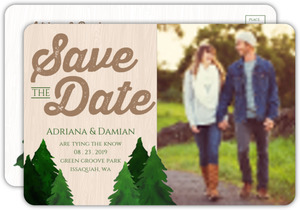 Create a cozy look with our unique, online design tool. 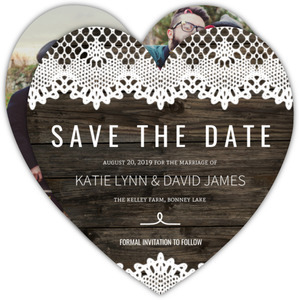 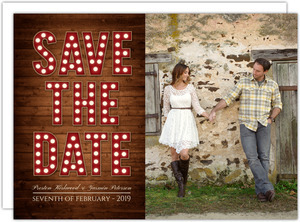 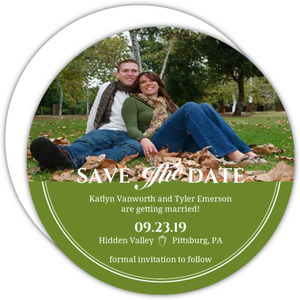 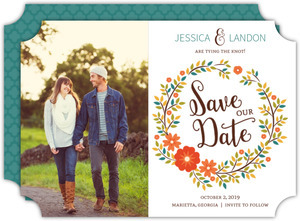 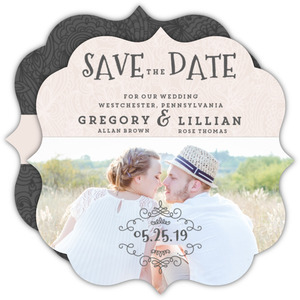 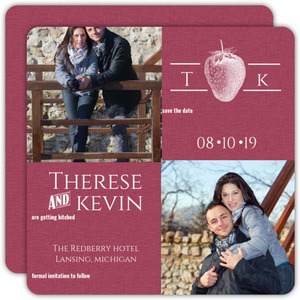 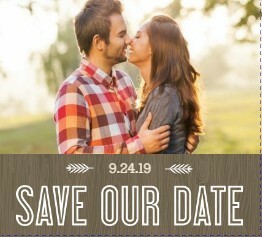 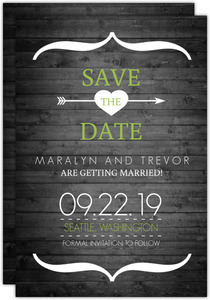 A small pile of designs to start from and inspiration from all over the web, and your own visions of an ideal card will help you complete your goal of a truly rustic save the date card. 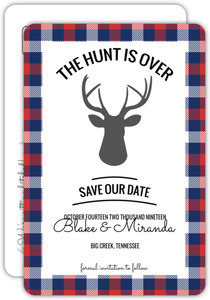 If they got anymore rustic, Great Uncle Jim would be whiddling these from wood or making them from railroad spikes.